Strong rain, winds and snow storms are hitting the Middle East this week. After several years of drought, record rains have fallen on Israel presenting the possibility that the Sea of Galilee, Israel's "national reservoir," may fill by the end of winter. Just this week the sea rose 60 centimeters (2 feet), and many areas in the country already received one-third of their average rainfall. 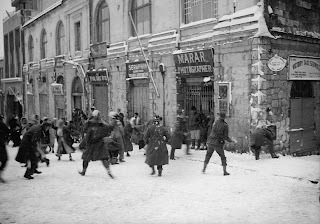 Galilee and Golan mountains are covered with snow, and Jerusalem residents anticipate a city covered in white tomorrow morning. 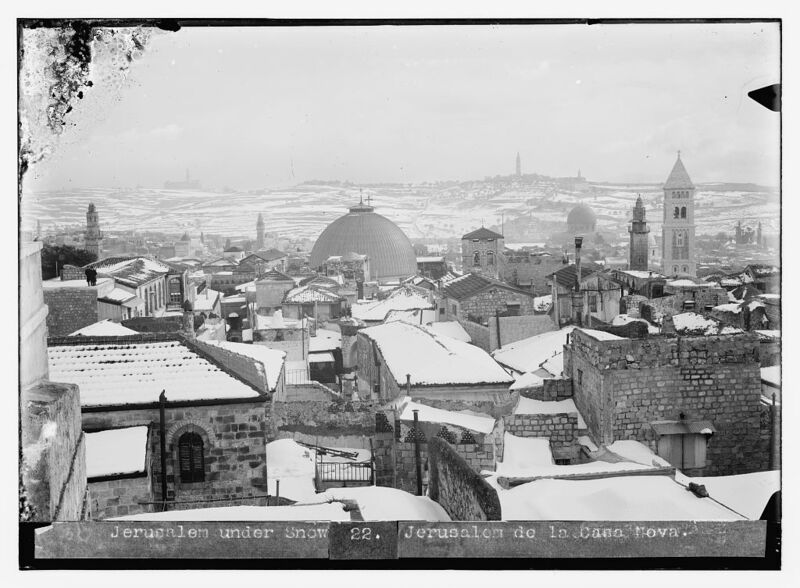 We present here old pictures of snow in Jerusalem from the Library of Congress collection. Some of the pictures were presented here last winter, but we've also added new ones found among the 22,000 pictures in the Library of Congress. hand-colored and found in a family album. Children of the "American Colony"
We serve a faithful and amazing God !!!! It's interesting to see the years in which these pictures were taken - they are all from the early part of their decade. 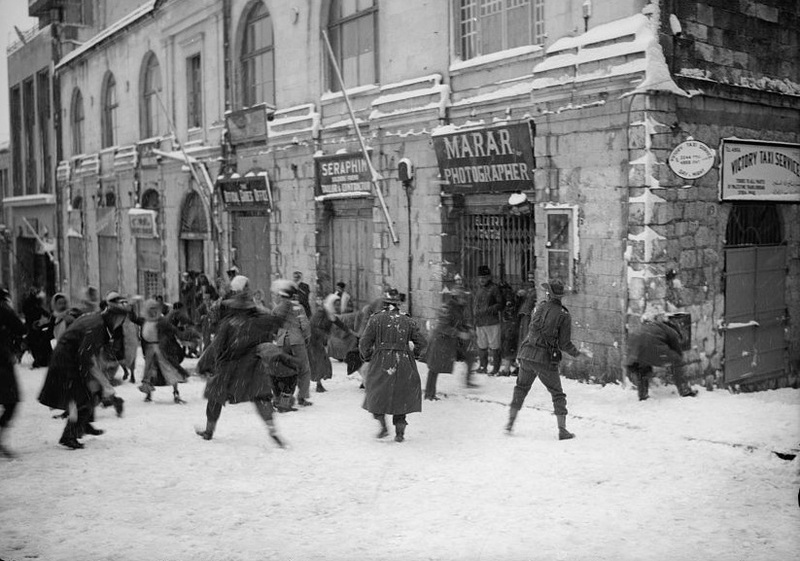 A reporter on Israel radio on Thursday said there is a heavy snowfall here about once every ten years, and noted the snows of 2003 and 1992/3. 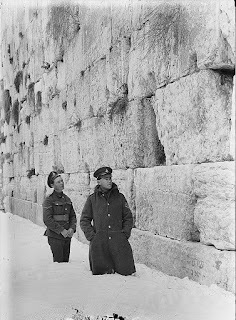 We are now in 2013, does that mean Israel's next heavy snowfall will be in 2022/3 (approx. )?